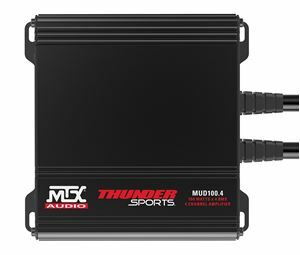 MTX THUNDER..A name synonymous with car audio for over 20 years has become known for power, performance, and reliability. 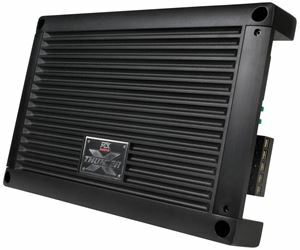 The THUNDER line of amplifiers has seen numerous technological advancements throughout its life and continues to be one of the most recognized and sought after products in the car audio world today. 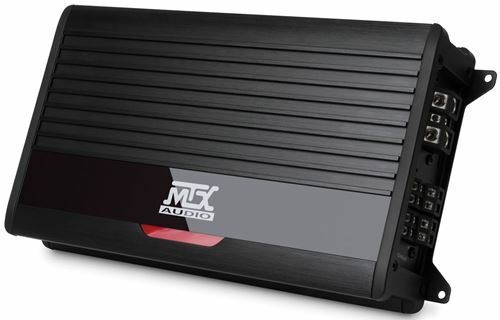 The MTX THUNDER75.4 4-channel amplifier is the product of many of those advancements. 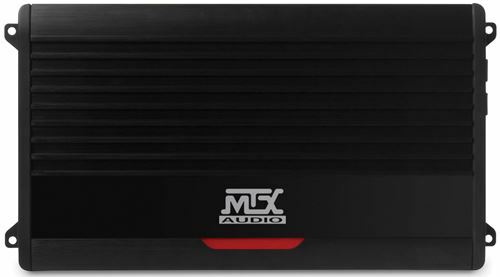 It delivers the music to your speakers creating a true “Concert Level Sound” without losing any fidelity or quality. 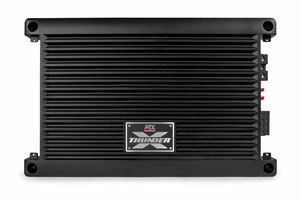 The THUNDER75.4 is a 400-watt RMS amplifier designed to be installed in almost any vehicle due to its small chassis size. Its power capability and wiring versatility makes it a perfect choice for running multi-channel speaker systems without compromising musical output or quality. This amp features a Class A/B circuit design that delivers high fidelity sound output meaning you can enjoy your music as the artist intended it to be heard. The multi-channel design also means that you can configure you speaker system the way you need without running out of power or functionality. We use surface mount technology to help create the compact design of the amplifier and improve its reliability and resistance to vibration. High grade components are chosen for their quality and to ensure the amplifier delivers maximum power output when you need it without loss of audio resolution. In addition to the circuit design, we’ve also added the features you need to fine tune your system sound such as the built-in variable gain and crossover controls. Additionally, we know how important the speaker and power connections are to a properly working sound system. This is why we use set-screw style terminals to provide the most secure connection possible which minimizes any power loss while delivering all the power to the amplifier and to the speakers. Remember, you cannot install an amplifier without an amplifier kit. MTX recommends using a ZN5K-04 or ZN5K-08 to power the THUNDER75.4.